Water features bring a landscape to life. They tend to draw people outside, to listen, to watch, and to play with the bubbling swirls of water. I know that I can hardly resist sticking my hand in a fountain, even in small ones. I have fond memories of when my mom bought a small water fountain with lights that she would turn on to welcome our family home in the evening. Did you know that it is relatively easy to make a fountain or bubbling rock? 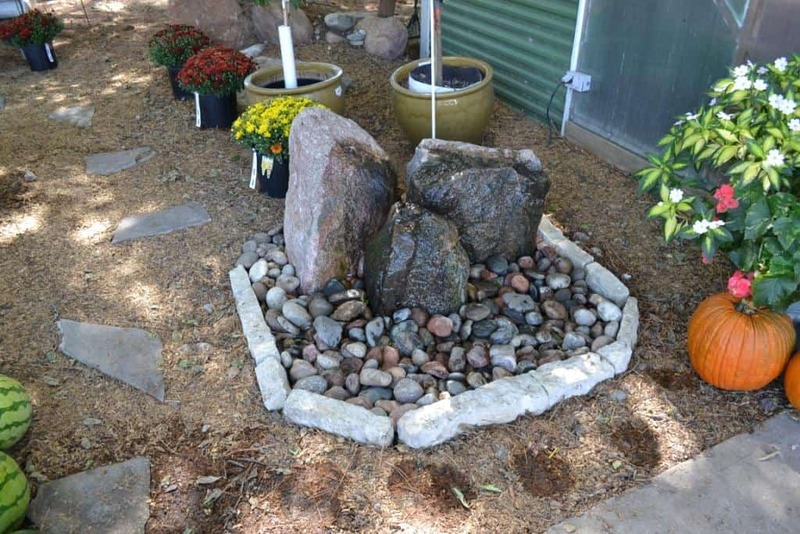 You can transform your favorite boulder into a bubbling rock or make a garden urn into a flowing fountain. The plan is quite simple really. First, chose your fountain. Some pick large oblong boulders, others chose tall columns, and still others like vases and pottery. If you use a boulder, you will need to drill a hole through the rock for the pipes. You can also stack several smaller stones and drill a hole through all of them. Most vases will have a large hole in the bottom so you don’t need to drill those. Next, buy a basin that is larger than the splash zone of your fountain. Look to your local garden supplier for one of these. These basins are made specifically for landscapes and having gravel on top of them. Also purchase a small pump package. Your pump really does not need to be very big for a small project like this. Vases and Pottery make great fountains! Photo by Andrew Mitchell. Finally, dig a pit for your basin, hook up the pump, and watch your fountain flow! 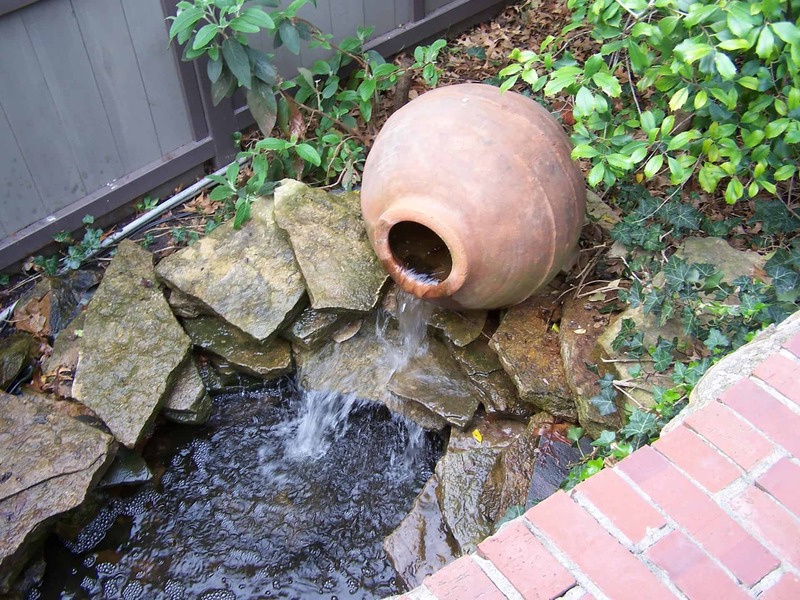 Use waterfall foam to seal the hole around the emitter so that the water actually spills out and over your fountain. If you chose to stack several rocks, use a metal pipe (such as copper) to send the water to the top and secure the column of rocks.